This week’s topic is ‘music I love’ and ‘book playlists’. Playlists are popular with writers now but in the four books I’ve written, I only made a playlist for one of them. Perhaps this is because I’ve never really understood whether a playlist is supposed to reflect the characters and the plot of the book? Or just what the writer listens to whilst writing? What do you think? I don’t usually listen to music when I’m writing, but when I wrote The Dangerous Gift, I did and the playlist below is the result. These were songs I listened to whilst wrote the final draft of The Dangerous Gift, I loved the US series Nashville and so that’s why over half of the songs are from the series. 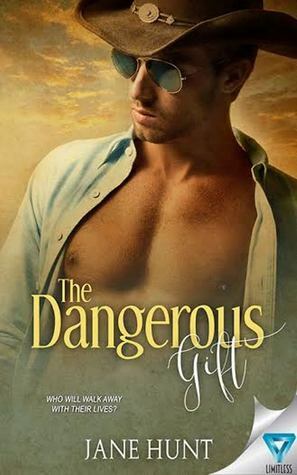 Since The Dangerous Gift is a Western Romantic Suspense, it put me in the right mind set, even though my story is set in Texas and not Nashville. The other songs are longtime favourites of mine. I first listened to The Eagles when I started going out with my husband in 1980. ‘Take It Easy’, always manages to send me back in time , to a Bronze Ford Capri, with an an Eight Track Player. The days were full of sunshine and love. When times are hard, this song always makes me feel good and remember why thirty six years later we are still together. The Roxy Music songs have similar poignant memories, so I listen to them frequently. Jimmy Nail’s ‘Cowboy Dreams’ and ‘What Kind of Man Am I’, fitted in with how Jared felt at times in the story and Savage Garden’s ‘ Truly, Madly, Deeply’ epitomises the love between Jennie and Jared. If you haven’t read The Dangerous Gift, it’s available on Amazon and Free for Amazon Unlimited members. I am about to send out my latest newsletter to subscribers, this one is a little special because it has an exclusive excerpt of ‘The Dangerous Gift’, my latest release. There’s still time to sign up to my mailing list by clicking on the image above or on the sidebar. There will a subscriber giveaway, as well as exclusive excerpts of my new releases and upcoming stories. To celebrate another 5* review. Here’s a snippet from The Dangerous Gift to tempt you. Want to know who Jared is kissing? This weekend the paperback version of The Dangerous Gift went live on Amazon. This was a noteworthy moment for me. This is my third published book, but it’s the first available as a paperback and that feels like a step forward. I still think there is a misconception that an author is not properly published until they can hold a copy of their book in their hand. Is this how other authors feel? It seems out of sync in this technological age. Where almost everything can be done in a virtual setting. I hardly ever read paperbacks or hardback books now, for me its far more convenient to use my Kindle, which I can even read with the lights out, because it’s back-lit. 🙂 I do most of my reading at night and I often have insomniac tendencies, so an electronic reading device is perfect for me. I was sent a paperback from a publisher just before Christmas for review and although it was great to look at the cover in colour, (not possible on my type of Kindle), I couldn’t honestly see any other reading benefits and now I’ve read it, I have to make space for it on my oversubscribed book shelves. So for me eBooks are preferable to paperbacks both in terms of usability and storage. Yet the myth lingers that I am a ‘proper’ author now I have a paperback version of my book. What do other author’s think? Comment below or chat with me on Twitter at @jolliffe03 #authorchat.